Pho Thai Son has been around for quite a while now but I’ve actually never visited their Broadway location before. It is located right across from Kingsgate Mall. This location was quite busy during lunch time and service was quick! 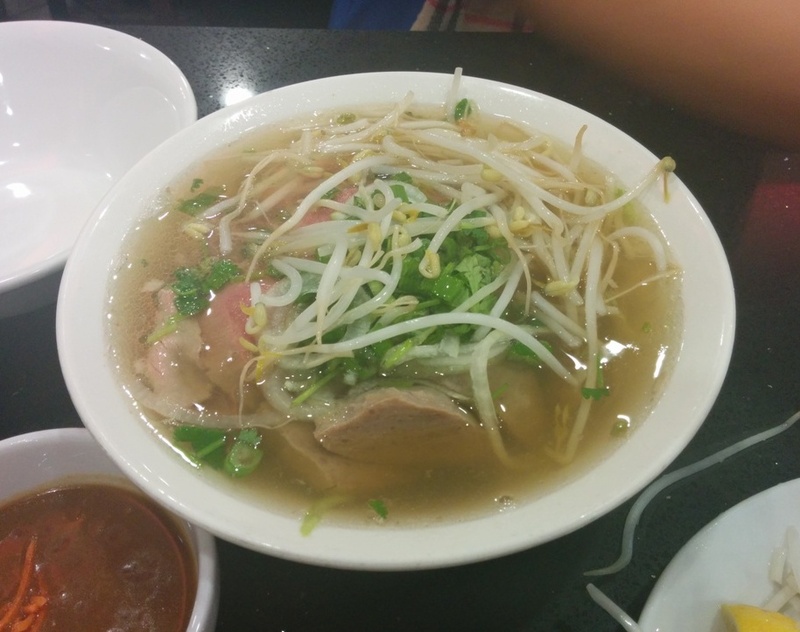 This was the Small Pho with Rare Beef and Beef Balls. The dish arrived about 3 mins after we ordered it! I guess everything was prepared already… It did not taste like there was too much msg and there was a decent amount of beef. Also it was only $6.55! This entry was posted in Food Reviews and tagged beef balls, lemongrass chicken, pho, salad rolls. 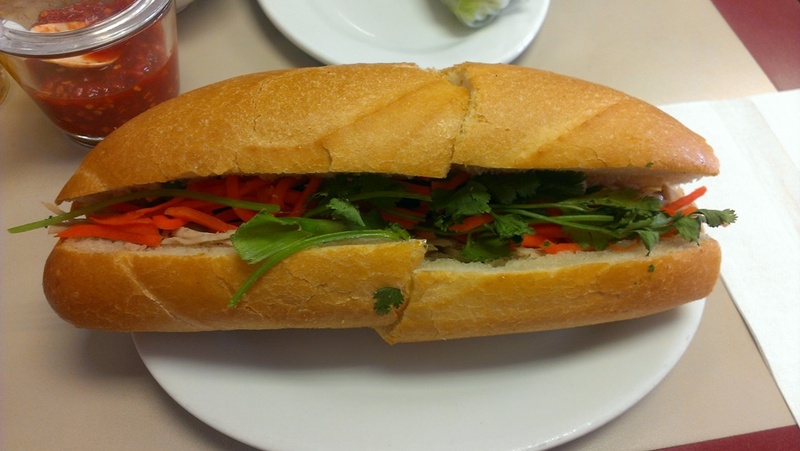 I had a craving for banh mi sandwiches and I had heard a lot about Au Petit Cafe so that’s where we went for lunch on a Sunday afternoon. There was a small line up and we waited about 20 mins before we got a table. The interior is not very big and we ended up seated right next to the cash register counter. We started with a Shrimp Salad Roll. 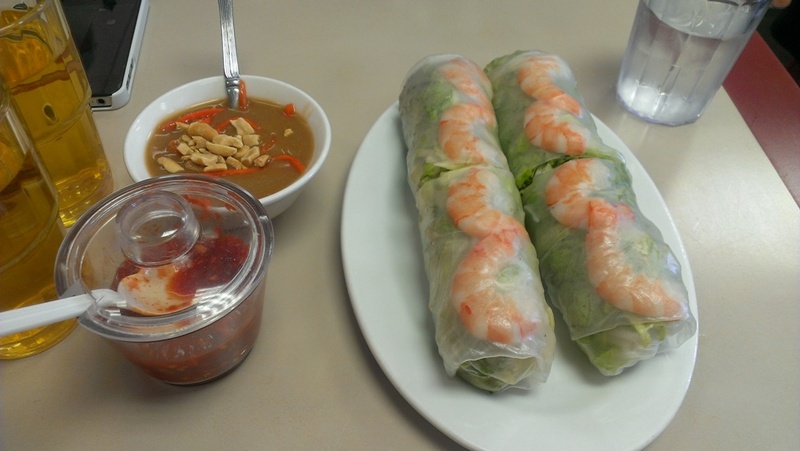 The peanut sauce was really good and the salad roll had large pieces of shrimp. I’m not a fan of salad rolls though since it feels like I’m eating salad with peanut sauce. But otherwise it was alright. This was the Banh Mi with house made ham, house made meat balls, vegetables and hot peppers. You also have the option of not getting any hot peppers. We got one sandwich with hot peppers and one without. The meat ball had a really soft texture almost like it wasn’t cooked but it was and it was nicely marinated. 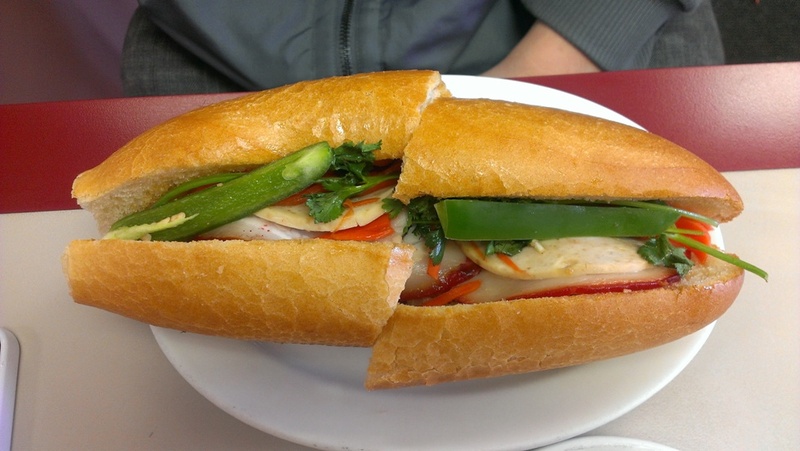 We also shared the Banh Mi with shredded Vietnamese pork, vegetables and hot peppers. Compared to the first sandwich, I missed the meat ball! The shredded pork wasn’t that flavourful. The bread was still the same crunchy toasted baguette though. It also wasn’t too hard to eat but if you leave it for too long the bread will get harder. The hot peppers weren’t really that hot to me but I like spicy things. While I was there I noticed that a lot of people were getting take out and they also had a lot of phone calls for take out as well. That’s a good option if you don’t want to wait! Overall I was satisfied with their sandwiches and they were so cheap and filling! 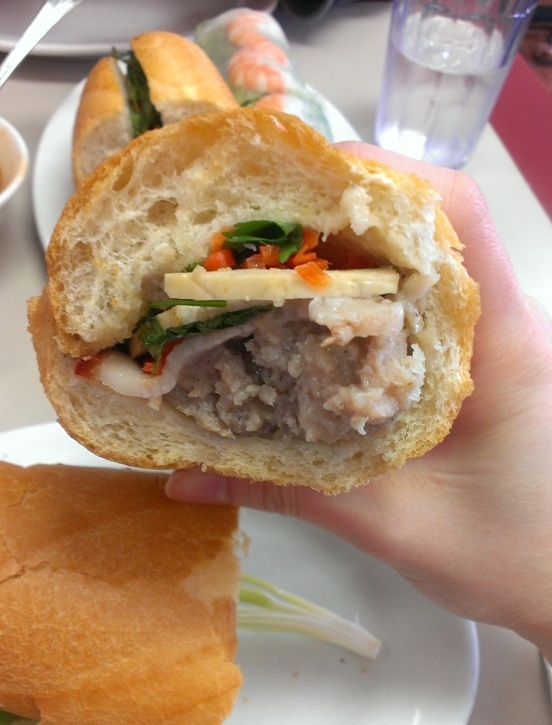 This entry was posted in Food Reviews, Vietnamese and tagged banh mi, salad rolls, sandwiches.